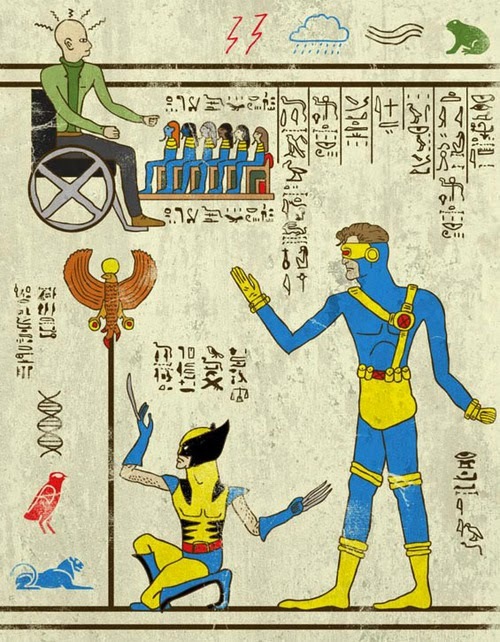 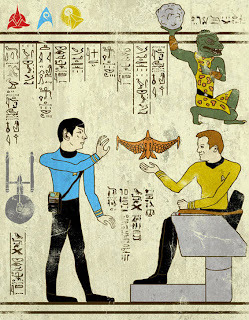 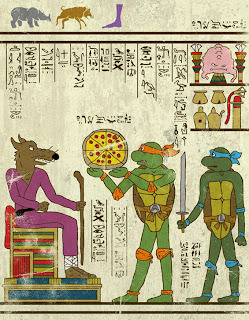 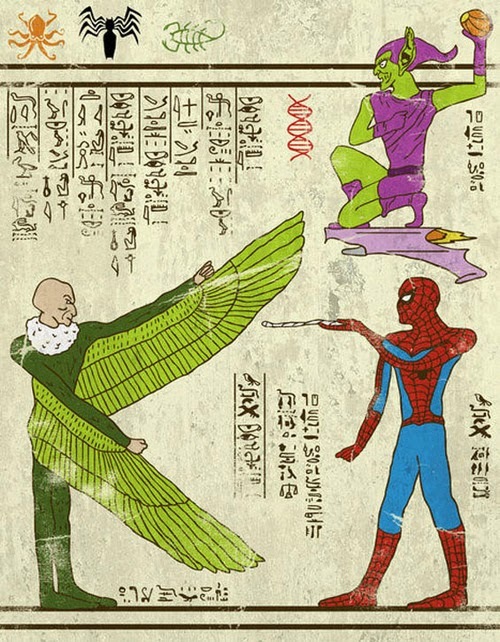 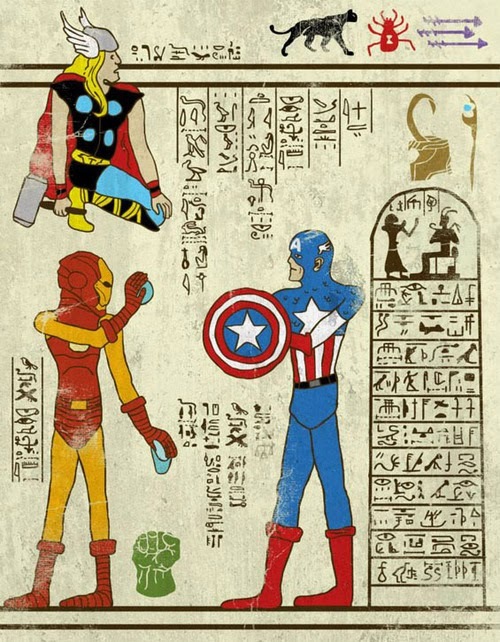 You won’t need to consult the Rosetta Stone to decode the awesomeness behind this series of superhero-inspired hieroglyphic designs from artist Josh Lane. From X-Men to the Teenage Mutant Ninja Turtles to Spider-Man and more, Lane has taken some of our most iconic heroes and given them a pitch perfect period makeover that would be worthy of any comic book collecting pharaoh. 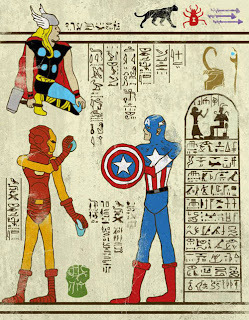 In case you want to turn your bedroom into a pop culture-filled sarcophagus, then they’re on sale too. 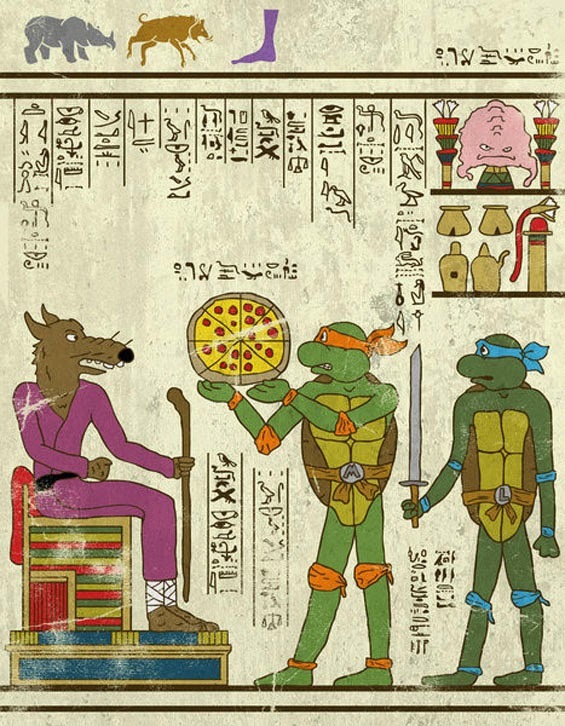 Canopic jars, bags, and boards for your internal organs are sold separately.